It’s been 2 years since we last asked for your help, and since then we have been incredibly busy. We fought the general election in 2017, and 4 by-elections since then. As a local party we founded the cross-party Save Our Services campaign, fighting the gruelling Tory cuts that threatened vital services across West Berkshire. During the blizzards in 2018, and since, we protested the Conservative’s recycling tax, the £50 green bin charge which has been hugely unpopular. A petition by our prospective parliamentary candidate, Steve Masters, to end the badger cull in West Berkshire, has attracted nearly 15,000 signatures. Another of Steve’s petitions, calling on the council to declare a climate emergency, received over 2,000 signatures becoming the first ever petition in West Berkshire to trigger a council debate. In the past two years we have hosted deputy party leader Amelia Womack, and both co-leaders, Jonathan Bartley and Sian Berry. They added their voices to our campaigns for better transport, saving vital services, and backing a zero carbon future. The local elections for West Berkshire Council are now approaching. We are standing over 15 candidates from all across West Berkshire, the largest number we’ve ever had. 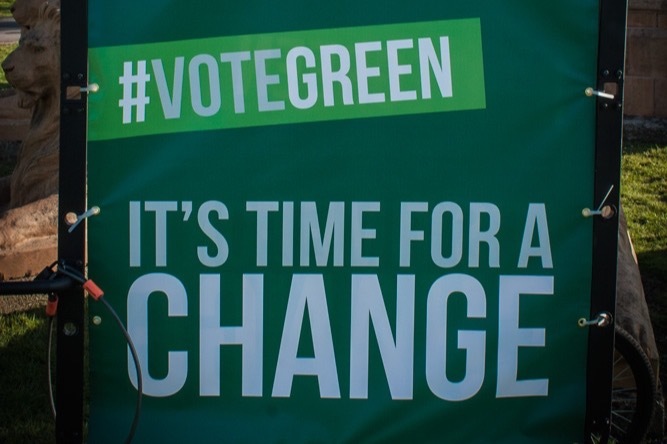 In several wards we are closer to getting a Green councillor elected than we have ever been before, which makes these elections extremely important to us. Imagine how much more we could do with Green party councillors on the district council! We’re excited for the future and we want you to be too. But all of this hard work comes with costs. We’ve stretched our funds as far as they will possibly go, and now we must ask for your help once again. To keep sending our positive message we need to raise funds. We are a small party with no rich backers, and we rely on the support of normal people like you! Please donate as much as you can and help us to keep fighting for what is right. Published and promoted by David Marsh on behalf of West Berkshire Green Party, 17 Valley Road, Newbury, RG14 6ET. Hosted by GoFundME. A big thank you to everyone who has contributed so far. The campaign is going well and we stand a great chance of winning in Speen and other wards.